Skipper`s Bar & Grill is a newly renovated restaurant with a beautiful view overlooking Keweenaw Bay in L`Anse Michigan. 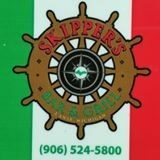 Skipper`s servers bar and grill food all day with Italian dining from 4:00 p.m. to 9:00 p.m. Our friendly service and amazing food is sure to please. Open at 11:00 a.m. Tuesday through Saturday. Call for our specials (906) 524-5800.